Every child has a right to education! According to a report by UNESCO, 264 million children worldwide have no access to education, and even among those who go to school, the graduation rate is low. Without education, children in developing countries cannot get out of the poverty trap and a life with dignity is not possible. These kids need heroes! Together we can enable children to attend school. Thanks to an educational sponsorship, Phyoe can finally go to school! Phyoe lives with her parents in a slum of Yangon. There is no money left for school supplies and uniforms. To enable children like her to attend school, SONNE-International runs educational projects in Bangladesh, Myanmar, India and Ethiopia. 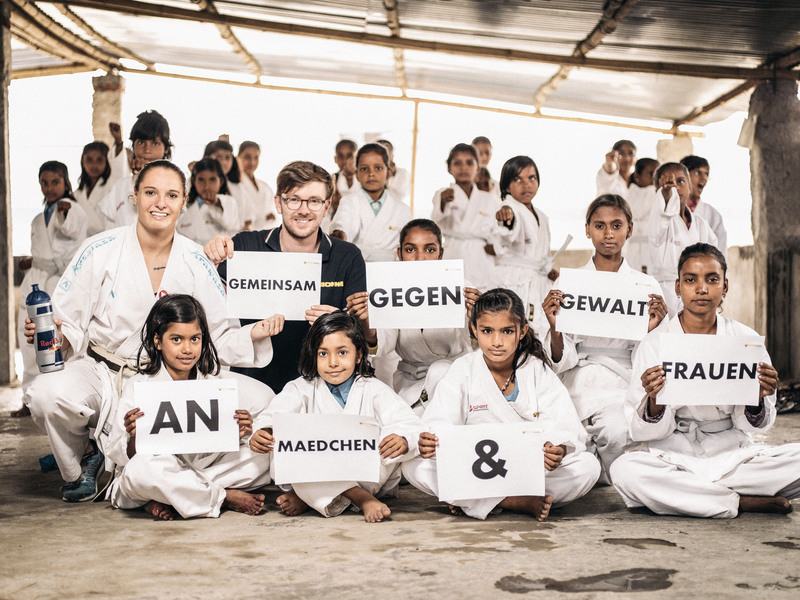 Thanks to them, more than 2000 students in over 30 SONNE schools have access to education for the first time. The establishment of our schools was made possible through various donors. However, in order to operate them in the long term and to secure a place for Phyoe in one of them, we depend on YOUR SUPPORT! 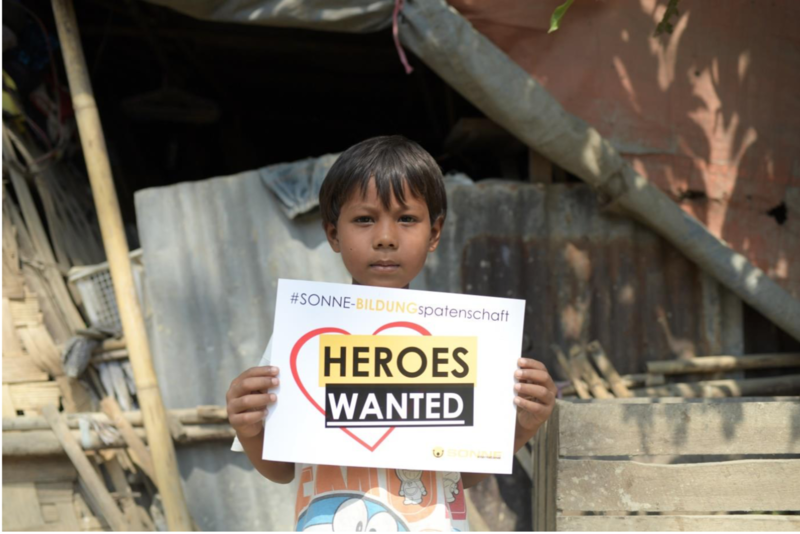 Yes, I want to be a HERO and to become a sponsor NOW! are people like you and me who care about helping other people and sharing the privilege of education with them. 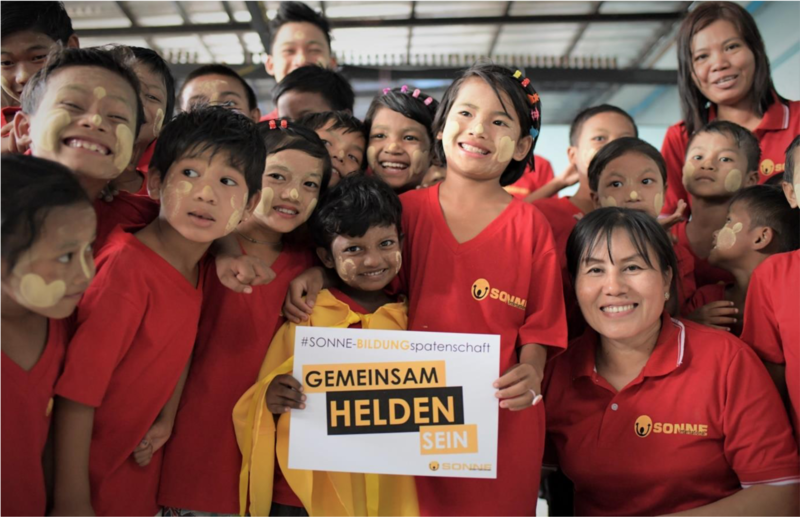 With your EDUCATIONAL SPONSORSHIP, you will provide disadvantaged children with a secure place at a SONNE school. Thanks to your support, these students will have the chance to liberate themselves from the poverty trap with diligence and ambition. Only together can we shape a more humane and just future! Do you want to become a hero, too? Choose in which of our priority countries (Ethiopia, Bangladesh, India or Myanmar) you want to support children with your sponsorship. If you have no preference, your contribution will be used according to urgency. DECIDE on the AMOUNT of your monthly contribution in the form of a standing order (cancellable at any time). Every amount helps! To give you an idea: With about 30 euros per month we can send two children to school in Bangladesh. it only takes 2 minutes to become a hero! and she will help you to create your sponsorship in an uncomplicated way. and Sabine will help you to create your sponsorship. Since 2004 we have been operating our JANALI school in Bangladesh. Currently 70 children of ethnic minorities are studying at this school. They have access to an educational institution for the first time. The resulting costs, however, (teachers, books, school materials, etc.) must be financed through additional, permanent donations. Unfortunately we do not have the necessary resources to secure the continued operation of this school in the long term. YOU as a hero can enable underprivileged children to attend this school. Only through education can these children free themselves from the poverty trap. … disadvantaged children to have access to education and a dignified future. Our teachers say THANK YOU, too, as they have a safe job in one of our schools thanks to your sponsorship. Our students would be pleased if their friends could go to school as well! As an EDUCATIONAL sponsor you give children in remote, poverty-stricken areas the chance to attend a school. It is important to us not only to support individual children from a community but to give ALL of them the same opportunity. 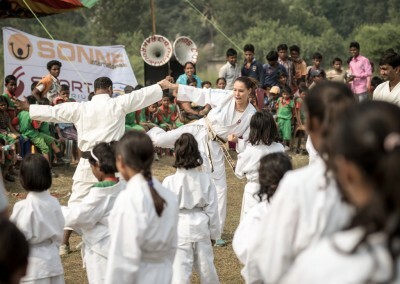 We ensure that your support fully benefits our educational projects, e.g. for books, school uniforms, teachers’ salaries, maintenance etc. Since you do not support one specific child with your EDUCATIONAL sponsorship, our administrative workload is greatly reduced. Thus your donation can be used much more effectively! Long-term, reliable support is essential, especially for educational projects. Therefore only a safe financial basis (in the form of permanent standing orders) can secure the continued operation of a school. You will be informed regularly about the development of your project. You also have the opportunity to visit it at any time! Yes, I want to be a HERO and become a sponsor NOW! We believe that it is meaningful and sustainable and that it benefits the whole community when a village school is operated long-term. 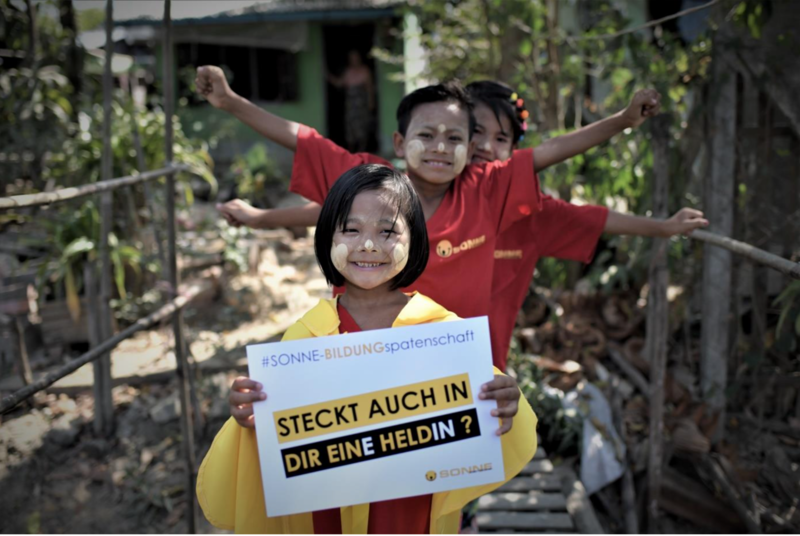 As a sponsor of SONNE-International you give many children good future prospects. Alisa Buchinger (karate world champion) has been a SONNE heroine since 2015.